370 pages | 7 B/W Illus. This book reviews the descriptive features of psychotic symptoms in various medical conditions (psychiatric, early psychosis, general medical, neurological and dementia), non-medical settings (individuals without the need for care or at high risk for psychosis) and age groups (children and adolescents, adults, older adults). Similarly, the perspectives of many disciplines are provided (history, psychiatry, psychology, psychopathology, neurology, phenomenological philosophy) so that readers may become familiar with different approaches that are used to define, evaluate and categorize psychosis, at times independently of clinical diagnosis. This book is a resource book for those requiring an understanding of clinical and conceptual issues associated with psychosis, with chapters written by academics and clinicians who are leaders in their respective fields. 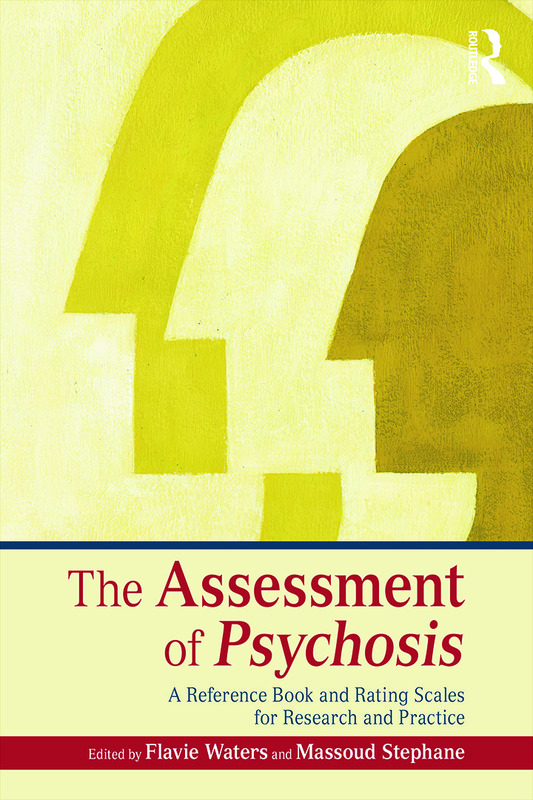 The book also provides a guide regarding the methods of assessment for psychosis and its symptoms, with 120 rating scales, which are described and evaluated. The Assessment of Psychosis will be particularly useful to the clinical and research community, but also to readers interested in individual differences and human psychopathology. Part I: What is Psychosis? McCarthy-Jones, History of Concepts about Psychosis. Parnas, Psychosis from a Philosophical/Phenomenological Perspective. Jardri, Psychosis and the Brain. Jansson, Near Psychosis. Part II: Assessment of Psychosis in Different Populations Castle, How to Assess Psychosis: A Practical Guide. Lockey, Assessing Psychosis in Forensic Settings. Laroi, Psychotic-Like Experiences in Non-Clinical Populations. Sommer, Psychosis in Psychiatric Disorders. Schulz, Psychosis in the Prodrome. Kelleher, Psychosis in Children and Adolescents. Starkstein, Psychosis in Medical and Neurological Conditions. Ford, Older Adults and Dementia Populations. Part III: Assessment of Psychotic Symptoms Stephane, Auditory Hallucinations. Langdon, Waters, Hallucinations: Visual, Olfactory, and Tactile. Peters, Delusions. Shad, Language (Formal Thought) Disorder. Amador, Insight. Parnas, Disturbance of the Experience of Self (Introspection-Based Assessment). Waters, First Rank Symptoms. Flavie Waters, PhD, is a leading cognitive neuroscientist who has made important contributions to the understanding of psychotic symptoms. She is the founder and scientific chair of the International Consortium on Hallucination Research and is the author of numerous scientific articles that have been highly cited. A common theme in her research is to combine different branches of knowledge that can come together in a boldly ambitious effort to better understand psychosis and pursue new interventions approaches. Massoud Stephane, MD, is an influential psychiatrist and neuroscientist whose expertise spans neurology, psychiatry and in vivo brain imaging. A lot of his research is based on the patient experience as a starting point, and he made significant contributions to the understanding of hallucinatory experiences and cognitive and linguistic disturbances in schizophrenia. He is well published and highly cited in these domains.